Vocaloid Miku is very famous, which causes thousands of people to cosplay her. To have a similar wig is the first thing for these who want to make this role a success. 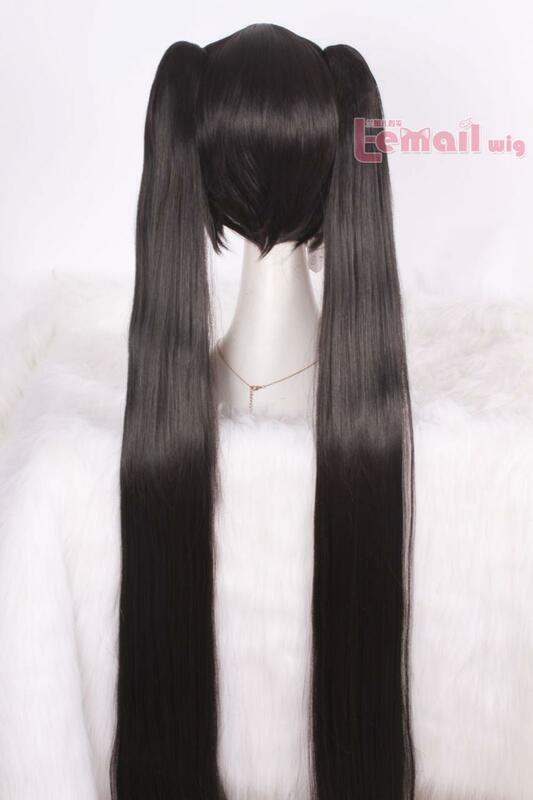 This super sumptuous black wig is a beauty. It has a base and twin tails that can be separated. 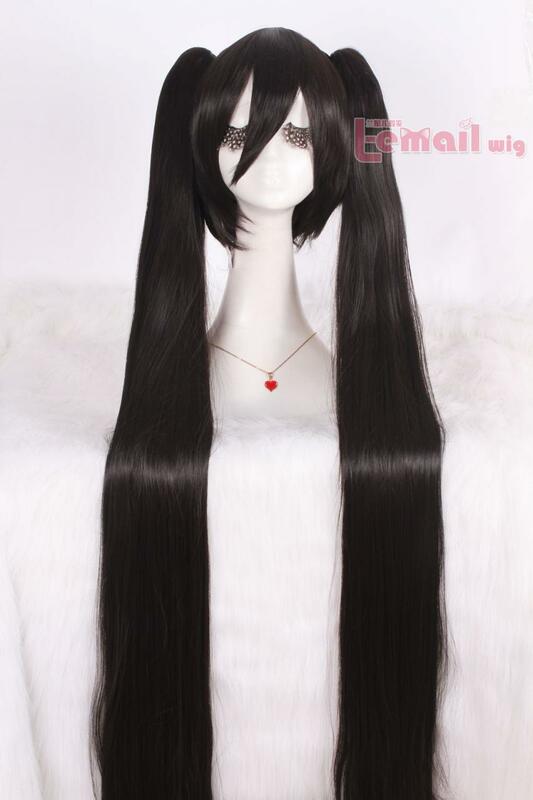 Vocaloid Miku wig is intense black and 120 cm long. The wig is 100% heat-resistant. 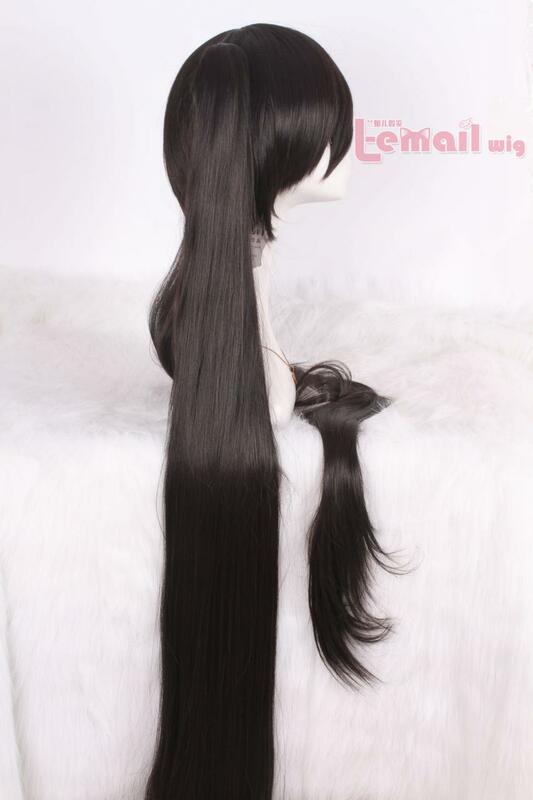 Due to jet black fibers that do not shine ridiculously, the wig looks natural. The wig can be styled or trimmed slightly to suit your facial features. Vocaloid wig‘s angular bangs and complimentary side cut elegantly frame your jawline for a petite feminine touch. The layer cut gives your base a seductive bounce. The nice thing about the main wig is that it matches perfectly and of course never has roots. You can do experiment with it by changing the location of the clips, like placing both of them on one side for the giant fluffy ponytail affect. Sure beats teasing, spraying and curling my own poor hair before a big event! But please trying to be kinder to it or it’s going through the breakage stage. You can find more colors from here. 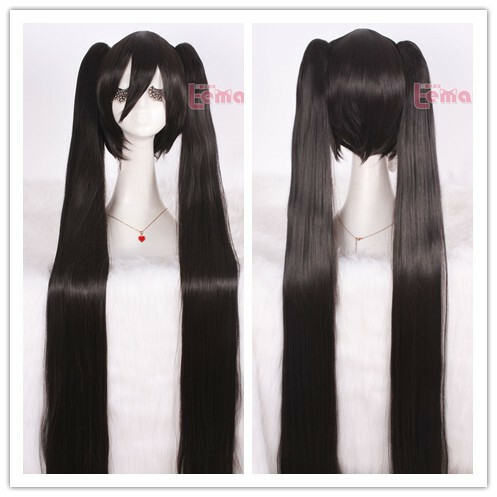 This entry was posted in Buy Cosplay Wigs, Wigs and tagged black cosplay wigs, long wigs, Vocaloid Miku cosplay wig, vocaloid wigs.